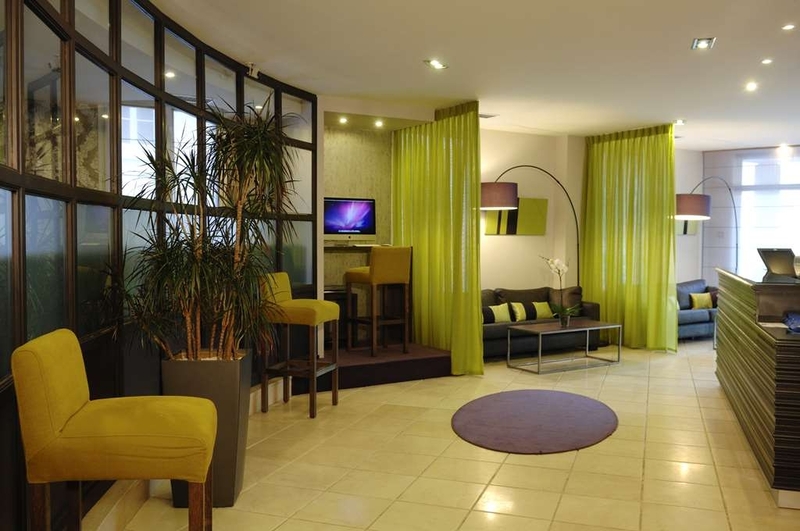 The Best Western Hotel du Pont Wilson is ideally located in the center of Lyon. Come and experience our hotel near the major tourist attractions. Best price guaranteed and exclusive deals. 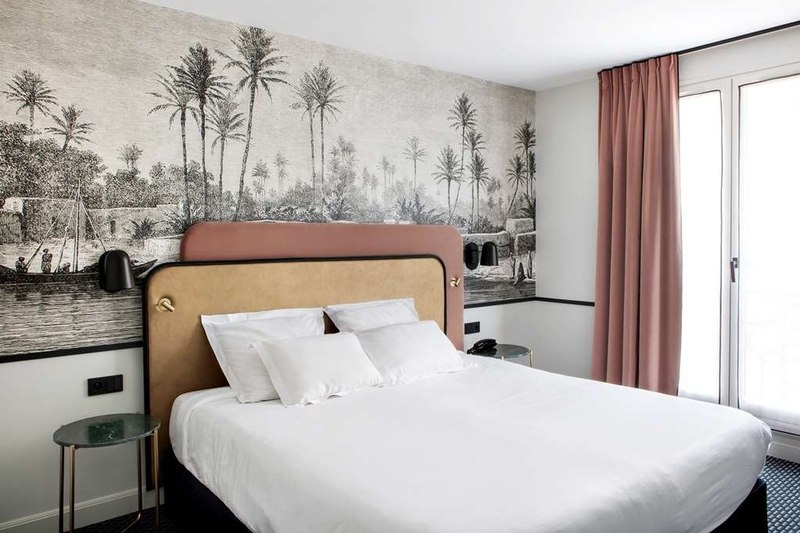 Offering 54 rooms, the Best Western Hotel du Pont Wilson is close to the banks of the Rhone, between Place Bellecour and the Part Dieu business district. 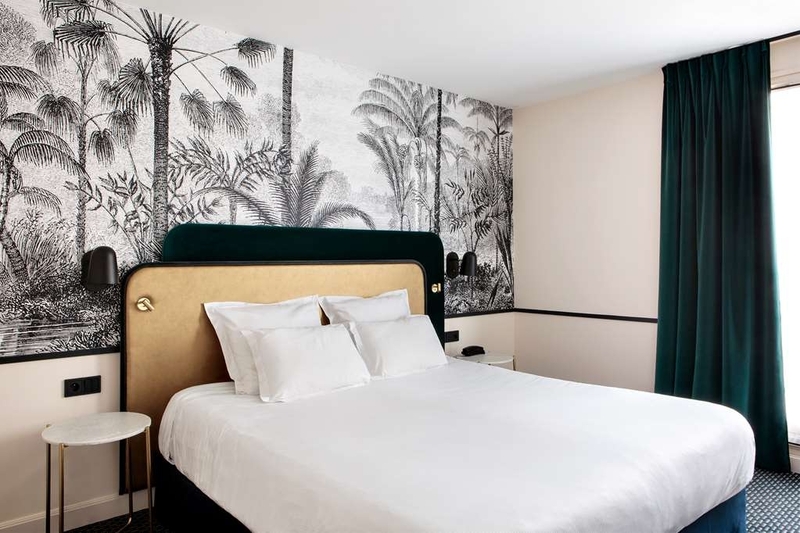 Entirely renovated, with non-smoking rooms and the latest in modern decor. The Best Western Hotel du Pont Wilson features broadband Wi-Fi Internet, LCD television, mini bar, safe, feather bed and air conditioning. The bathrooms have a bathtub and hair dryer. 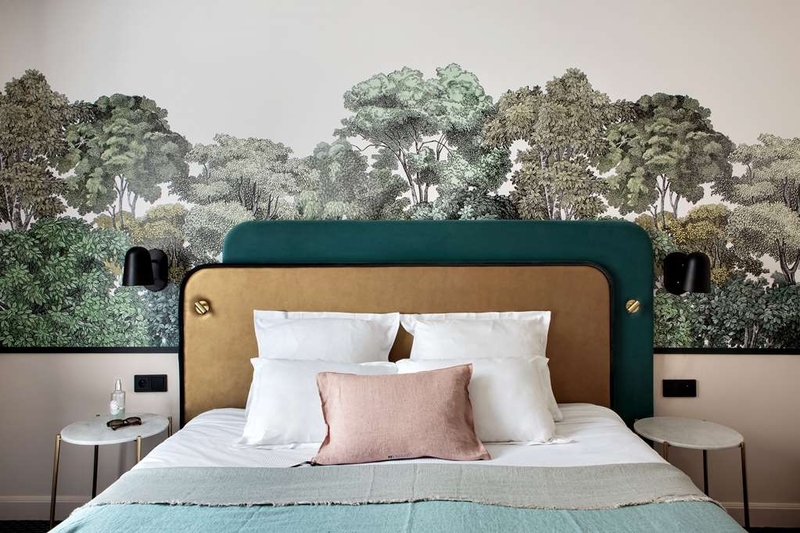 We have seven Junior Suites, with maximum comfort, and an unspoiled view over the Rhone and Fourviere Hill. We are a luxury hotel for tourism and business. Enjoy your stay. "Ideal spot to explore Lyon"
We stayed here 4 x nights and found the location ideal for our needs. It was an easy walk from the train station (Gare de Lyon-Part-Dieu) to the hotel, even with luggage. The reception staff were friendly and welcoming. It was a pleasant 5-10 min stroll across the Rhône River to the shopping precinct, with a number of restaurants. On the street behind the hotel was a tram line with a simple-to-use ticket booth which we took to Le Parc de la Téte d'Or in one direction and Confluence (shopping mall) in the other. Evening strolls along the river were an additional delight, with an amazing food market appearing on the riverfront Thursday night. We'd thoroughly recommend this as an ideal spot from which to explore the city of Lyon. "Kinda place where you feel like home"
I had to spend 2 weeks for business in Lyon. Carmen at the reception had the kindness to give me a room even though it was too early. The situation is very convenient for public transportation. They gave me a map of the city and I had all the explanations necessary to go to congress center. I had the breakfast included which was a blast regarding the american buffet (eggs, bacon, sausages, cold cut, cheeses...). good wifi, fluent english speakers at the reception, room service 24/24, safe area to walk. Thank you for your patience and your kindness through my stay! Overall the hotel was not worth the money. The rooms were small with ancient decor. The staff was not helpful at all. The cleaning staff raided my room despite I put the Privacy tag and I found some money missing! When I complained as why my room was cleaned I was told I may have not put the tag rather than investigating it. When leaving the hotel I forgot to pick my chargers and when later I called back they said nothing was found! The breakfast menu never seems to change and it was mediocre anyway. All in all for the money I paid, I'd never stay in that hotel. Situated very close to the River Rhône and City centre amenities are within easy walking distance. Hotel seems to have had a complete refurbishment and the rooms are modern and clean with a/c. Staff very friendly and helpful. Breakfast, though is very expensive at €14 per head. The good news is that there are many café's within easy walking distance where breakfast can be had for very much less. The Hôtel was close to the river and we had beautiful walks along it with fantastic views. Walked to the old city too. The hotel is having renovations but it wasn't a problem and the staff were really helpful and friendly. They recommended a nearby restaurant which was great too. Nice room. 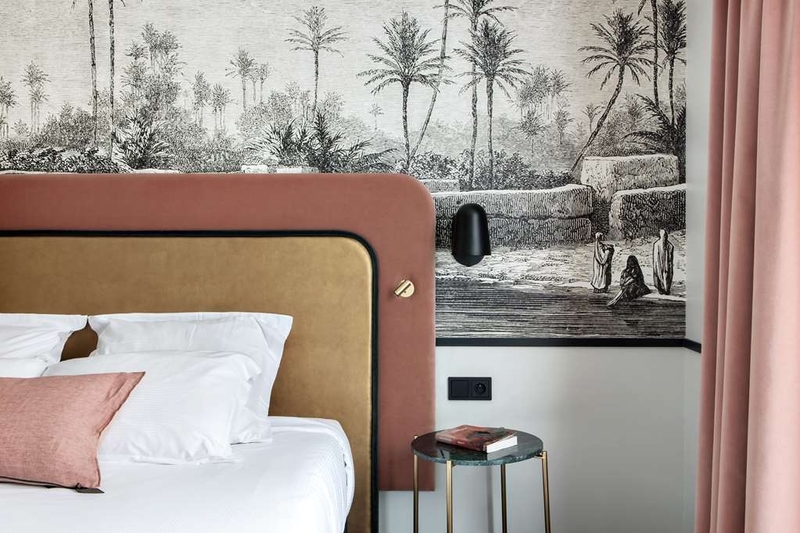 This hotel is located close to the Rhone and the promenade that runs beside it, with its street markets, views of the old city and restaurants. The accommodation was adequate, clean and comfortable enough for one night. We wandered into the neighborhood farther from the river and got a look at a grittier bit of life in Lyon. Not for tourists... If we were willing to spend more, we would make a different choice next time. Dear Madam, Dear Sir, We thank you for taking the time to share your experience in our hotel. 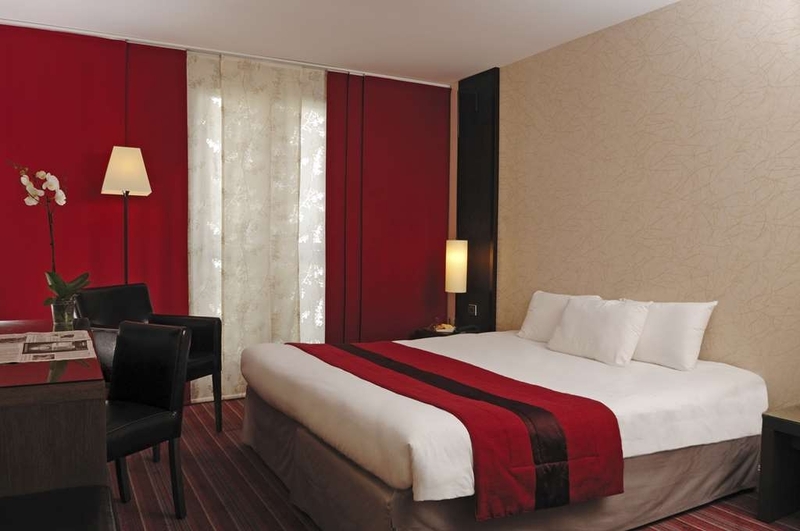 Our hotel is well located 5 minutes walking from Bellecour Place and 15 minutes from old city (Vieux Lyon). We are very sorry that you didn't like some part of our city center. There is a lot a part in our city more residencial that the city center, like a lot of cities in the world. We hope to welcome you again for your next stay in our beautiful city to have a second chance to give you a better experience. Kind regards. David, Front Desk. We stayed here for one night when driving through France. The hotel had parking at 19 euros a night. You drive into a car loft that takes you to a small underground parking. Quite tight to manouvere around but doable. David on the front desk was very welcoming and friendly. Our room was good and the air conditioning was an older system but it worked well to cool the room during a heatwave. The hotel is in a fantastic location. The walk down by the river is lovely. There are many boat restaurants and there was also a market on the Sunday morning. There were restaurants close by and it was a short walk across the bridge into the heart of the city. This hotel was having refurbishments carried put when we stayed do we are expecting it to be even better next time we visit. Dear Madam, Dear Sir, We thank you for taking the time to share your experience in our hotel. Our hotel is 5 minutes walking from Bellecour Place and 15 minutes from the Old City (Vieux Lyon). We are lucky to have an underground car park in our hotel, you access by a car lift. 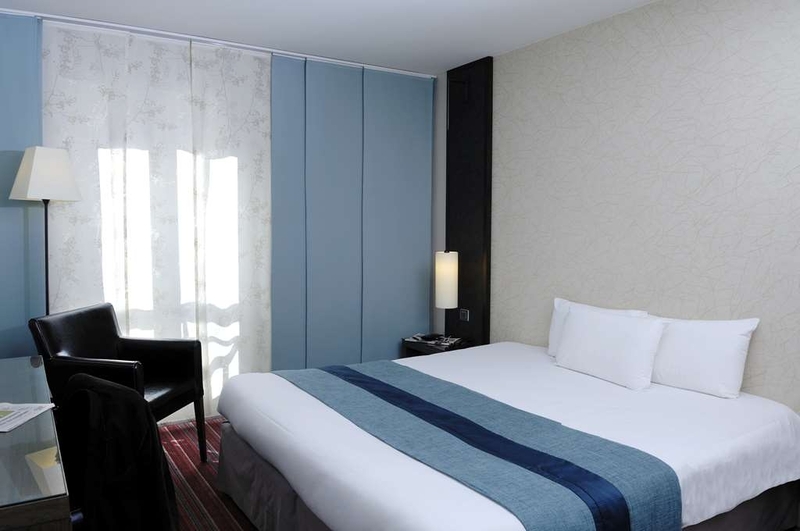 All renovation work will be finish for September and we hope to welcome you again in our new renovated rooms. Kind regards. Front Desk. good location. quiet within walking distance to local shops. Would have liked a higher floor. Might have had a view. Good value for the price. Friendly staff. Nice breakfast assortment for the morning. Dear Madam, We thank you for taking the time to share your experience in our hotel. Our hotel is 5 minutes walking from Bellecour place and 15 minutes from the Old City (Vieux Lyon). We always suggest if you have a floor preference you add a comment on your reservation or call directly the hotel. We are very sorry for not been able to exceed your expectations. We hope to welcome you again for your next stay in our beautiful city to have a second chance to give you a better experience. Kind regards. David, Front Desk. "Don't be put off (2) !!" Dear Madam, Dear Sir, We thank you for taking the time to share your experience in our hotel. In the name of all our staff we would like to thank you for this great mark you gave us. We hope to welcome you for your next stay in our beautiful city. Kind regards. David, Front Desk. This hotel states very clear in the reservation policy that up to 2 children under 12 yers of age can stay free of charge when using the existing beds. This is so common that I made a reservation without holding a breath. But.... Surprise, the hotel just wants to charge you more by not allowing you to make such reservation, the clerk over the phone saying that it's standard policy to permit just one parent in the room, but not both, leaving us with no option but either book an extra room, or.... (drumroll:)) ... this review. Sorry guys, you've just lost a client. Stayed 2 nights on business. Hotel had good range of French and overseas guests. Arrived late but reception efficient and friendly. Got upgraded to larger room. Plenty space. All the usual amenities, including safe. Nice to be able to make a tea. Breakfast was not sumptuous, but reasonable range and plenty of coffee. Location is pretty handy for bridges to old town and 5 mins taxi from Airport Part Dieu train link. Excellent restaurant / wine bar a block away. Overall, pretty fair and no issues. Dear Madam, Dear Sir, We thank you for taking the time to share your experience in our hotel during your stay. In the name of all our staff we would like to thank you for this great mark you gave us. When we can we try to upgrade our guests to give them a beautiful room with a view. We are very glad to hear that you liked your stay. We hope to welcome you again for your next stay in our beautiful city. Kind regards. David, Front Desk. "PASSPORTS AND MONEY ROBBED FROM THE HOTEL ROOM! UNSAFE HOTEL"
WE WERE ROBBED INSIDE OUR OWN ROOM WHILE SLEEPING!!! Someone opened the door of our room (that cannot be opened from the outside without a key) when we were still sleeping and took our money and, more importantly, our Passports! As a reason of this we had to cancel our whole holiday at a great expense and frustration. The hotel just didn't take any responsibility for the occurrence nor they provided any real support to us after this happened in their premises. The manager never came to speak to us even to apologize!! Really poor management! Extremely shocking and frustrating to see that the hotel cannot provide even a minimum level of security to its guests and you will never know if you will find your belongings when you are back to your room. WE REGRET GREATLY HAVE CHOSEN THIS HOTEL AND DON'T RECOMMEND AS IT'S NOT SAFE! Dear Madam Camelier and Sir Carvajal, Regarding your stay and the “missing passport” we did what we were supposed to: We called the police. And we suggested you to make a report to your insurance so they can contact ours. You said that someone entered into your room at night; you didn't know what time it was because you were sleepy. Please note that our key system is pretty simple, there is only one exclusive key per room and the guest has it. Please also know there is a lock behind the door so that even the hotel pass access cannot open the door. As well, you have at your free disposal a safe in the room where you can store your documents. Rooms have fire doors, so even if you don't close the door hanging the handle it will close automatically. The only staff at the hotel this night was the night auditor and after checking the security cameras he didn't leave the reception all night. From 10PM to 6:30am the hotel doors are closed for the night auditor and guest safety. So no one can enter in the hotel without showing their key to the receptionist in charge. After informing you about these details, your story has changed. Instead of the night the “supposed thief” came in the morning, and you said that you checked your phone after hearing something and it was around 8AM in the morning. So you suggested that it might be the housekeeping. But here again, the housekeeping arrives at the hotel at 8:30AM in the morning and they need to put on their uniforms and then have to prepare each trolley so they don't start before 9:30AM. And if the room is not marked as “empty” on their paperboard they won't open the room door. After discuss with the general manager of the hotel we call the police station who said that without any evidence of break-in they couldn't confirm the supposed theft. The police asked you to go to the police station to fill a claim, when you come back from the police station we asked you several time the police report for our insurance and yours, but you didn't accept to give it to us but you asked to have a refund for the room. Our general manager offered you the breakfast, parking and city tax but you seemed more interested by having a free night instead of your “missing passport”. If something else has to be done, as explained by the police and the hotel manager, you have to contact your insurance and send them the police report. Once again we would like to inform you that accusing somebody of steal without any proof or evidence, is punish by the law even if it is on internet, presumption of innocence is very important to take care. General Manager. 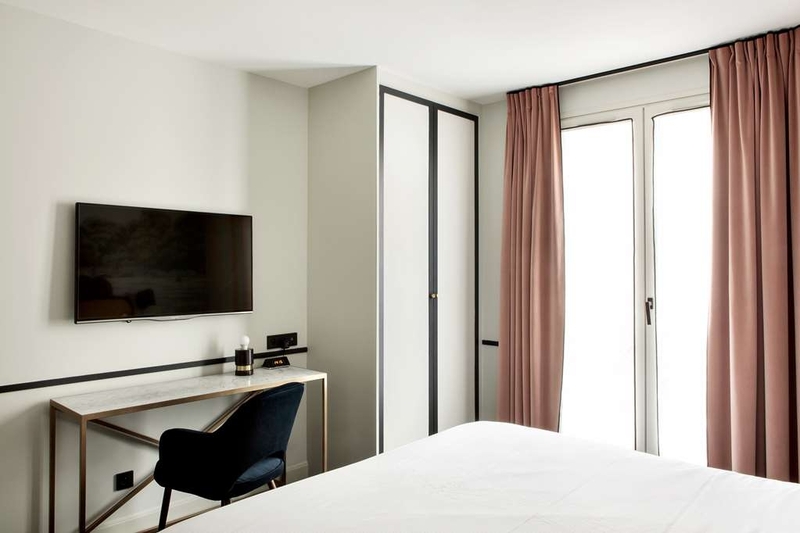 "DO NOT STAY - UNSAFE HOTEL"
"A great hotel in the heart of Lyon"
The Best Western Hotel Du Pont Wilson is ideally located in the center of the town, one block from the Rhone river and at a walking distance from main attractions, the shopping area and the shopping mall. The family room was very spacious and clean. The hotel staff was very helpful and polite. The lounge area was quite small, but the room featured its own sitting area. Also, breakfast was quite expensive, but there are many cafeterias very close to the hotel that offer breakfast. Overall, we enjoyed our stay and this hotel has a great value for money. Dear Madam, Dear Sir, We thank you for taking the time to share your experience in our hotel during your stay in Lyon. In the name of all our staff we would like to thank you for this wonderful mark you gave us. Our hotel is 5 minutes walking from the city center and 15 minutes from the old city. Our 16.00 €uros breakfast proposes : 5 Differents kind of cold cuts, French cheeses, fruits salade, orange salade, fruits (kiwis, bananas, apple, oranges...) hot plates such as : bacon, sausages, eggs, scrambled eggs, boiled eggs, fried eggs. Cereals : muesli, corn flakes, chocolat cereals, light cereals. Dry fruits. Differents yogurt (acitmel, activia, fruits yogurt, danettes, light yogurt, fruit compote. Differents patries : Pains au chocolat, croissants, pralines brioche, apple tart, bread, cereal bread. marmalade, butter, salty butter, nutella, honey... Tea, coffee (expresso, cappuccino, hot chocolate..). Multifruit juice, orange juice, apple juice. But if you have any other suggestions, please feel free to contact us. We are constantly trying to improve our service, so we would be glad to hear from you. We hope to welcome you again for your next stay in our beautiful city. Kind regards. David, Front Desk. Used this hotel for a one night stop over in Lyon. If you are traveling by car it is definitely worth trying to get one of the few parking spots they offer - even at 19€ a night it bought peace of mind as parking in the city can be a nightmare. If you are traveling by train etc the hotel is not far from tram, bus, metro stops. The hotel is a 10 - 15 minute walk across to Bellecour or Part Dieu. Surprisingly, Lyon was not that busy the WE before Christmas and we were pleasantly surprised to be upgraded to the suite on the 5th floor so looked directly across to Fourviere. The suite was large but the decor a bit dark. However as we only used the room for a rest before going out for the night it wasn't important. The lighting in the room was a problem though - really hard to read in dim light. Very comfortable bed and it was a treat to have two pillows. Lots of choice for breakfast but room is a bit cramped. Hot food was tepid at best. The staff were very pleasant and helpful. Saw three different people and each was equally welcoming. 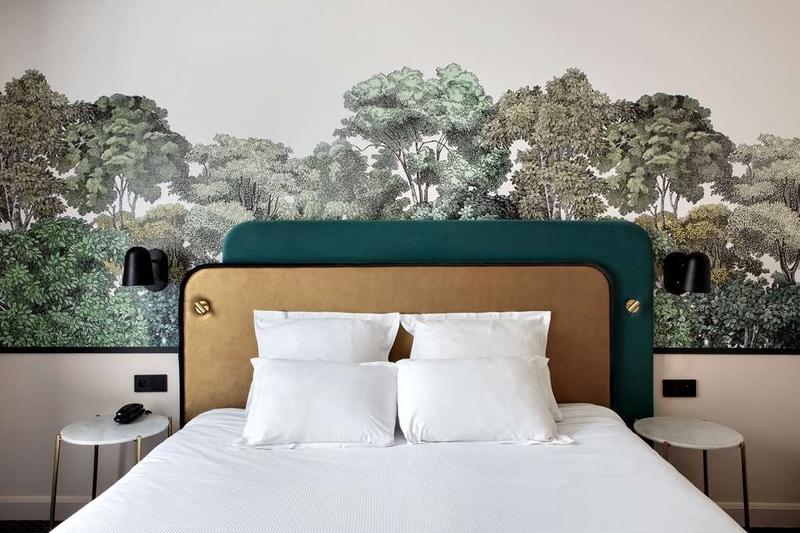 If I had to stay in Lyon again I would consider this hotel and hopefully have time to walk or cycle along the Rhone up to the Parc de la Tete d'or. Dear Sir, We thank you for taking the time to share your experience in our hotel. In the name of all our staff we would like to thank you for this wonderful mark you gave us. In 2018 we will make some renovation in all our rooms and we will use your comments and suggestions to proceed some improvements. We hope to welcome you again for your next stay in our beautiful city. Kind regards. David, Front Desk. "Good for overnight or short break"
Stayed here for 3 nights. Hotel is perfectly acceptable, clean with pleasant staff. Somewhat lacking in character and without facilities to relax in such as a bar or lounge area. Best area nearby for restaurants and bouchons is Rue Maronnieres over the bridge and towards Place Bellecour. Atalier Cote Rhone nearby also recommended. Looking at some of the deals on offer now our rooms seemed quite expensive. Old town and museum sites are a good walk or taxi ride away. Dear Sir, We thank you for taking the time to share your experience in our hotel. In the name of all our staff we would like to thank you for not been able to exceed your expectations. 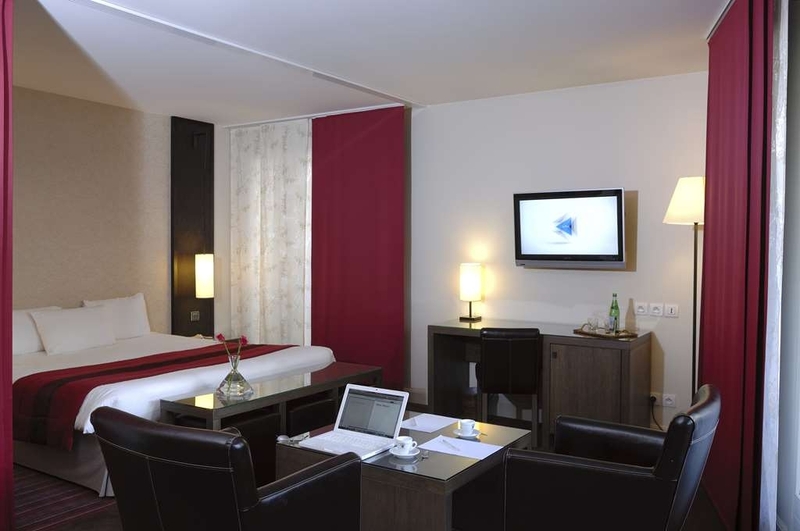 Our hotel is 5 minutes walking from city center, and 15 minutes from the old city (Vieux Lyon). Your comments are very important to us, they can help us to improve our services and try to give a better experience to our guest to come. In 2018 we will make some renovation works in all the hotel. We hope to welcome you again for your next stay in our beautiful city. Kind regards. David, Front Desk. The hotel location is perfect - Just a five minute walk across the Rhone to reach the "action". The rooms are big, comfortable, clean, modern and so reasonably priced - Great value! Absolutely everybody that worked at the hotel were so polite and helpful! (Thank you David and the rest of the incredible front desk!) An amazing stay, can't wait to return! Dear Sir, We thank you for taking the time to share your experience in our hotel. In the name of all our staff we would like to thank you for this wonderful mark you gave us and this great comments. Your comments are very important to us, they can help us to improve our services and try to give a better experience to our guest. We hope to welcome you for your next stay in our beautiful city. Kind regards. Front Desk Team. I stayed here for two nights and found the experience very good indeed, I walked from the main station (part-dieu) and it took around 15 minutes, the hotel is located as its title suggest next to Wilson Bridge and its a short walk to the main bars and restaurants so the location is very good. The staff were welcoming and spoke english and I was lucky enough to be complimentary upgraded to the suite on the 6th floor which was utterly superb with fantastic views of the Basilica and lots of space, as well as being modern and tastefully decorated. The WiFi was good and breakfast excellent, a really good little hotel. Dear Sir, We thank you for taking the time to share your experience in our hotel. In the name of all our staff we would like to thank you for this wonderful mark you gave us. 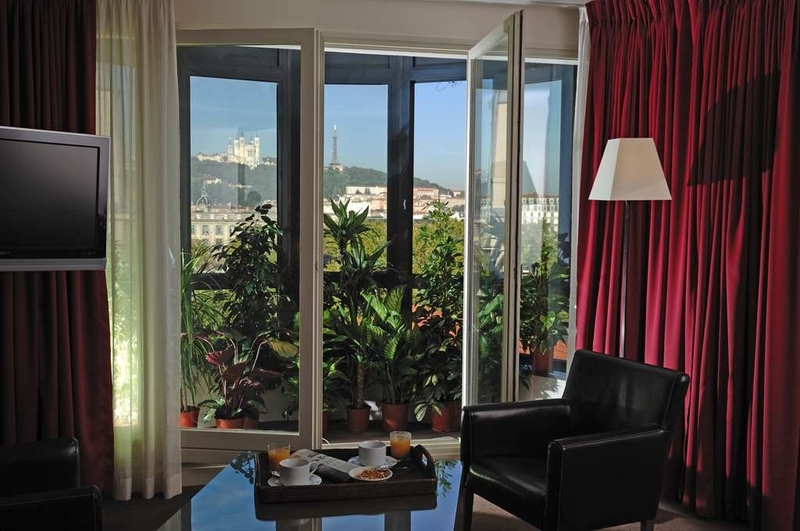 Our hotel is well located 5 minutes walking from the city center, and 15 minutes from the old city (Vieux Lyon) When we have some availability it is a pleasure to upgrade some of our guest in our beautiful Suite with a balcony giving a wonderful view. We hope to welcome you again for your next stay in our hotel. Kind regards. David, Front Desk. It's a good budget hotel. The staff are extremely friendly and helpful. The bed was comfortable and the room was of a reasonable size. I thought the breakfast was very expensive for what it was and unfortunately there's not many places to eat nearby. Dear Sir, We thank you for taking the time to share your experience in our hotel. We change all our bedding few month ago and took also new Grand Confort mattress. Our 16.00 €uros breakfast is compose with : 5 Differents kind of cold delicatessen, French cheeses, fruits salade, orange salade, fruits (kiwis, bananas, apple, oranges...) hot plates such as : bacon, sausages, eggs, scrambled eggs, boiled eggs, fried eggs. Cereals : musli, corn flakes, chocolat cereals, light cereals. Dry fruits. Differents yogurt (actimel, activia, fruits yogurt, light yogurt, fruit compote. Differents patries : Pains au chocolat, croissants, pralines brioche, apple tart, bread, cereal bread. marmalade, butter, salty butter, nutella, honey... Tea, coffee (expresso, cappuccino, hot chocolate..). Multifruit juice, orange juice, apple juice. If you have any other suggestions, please feel free to contact us. It is not necessary to book for the breakfast and if you don't want to take it in our hotel, there is 2 or 3 places to take a breakfast less than 5 minutes walking from the hotel. Also 5 minutes walking you can find the city center and also a lot of place to have breakfast. We hope to welcome you again for your next stay in our beautiful city. Kind regards. David, Front Desk. 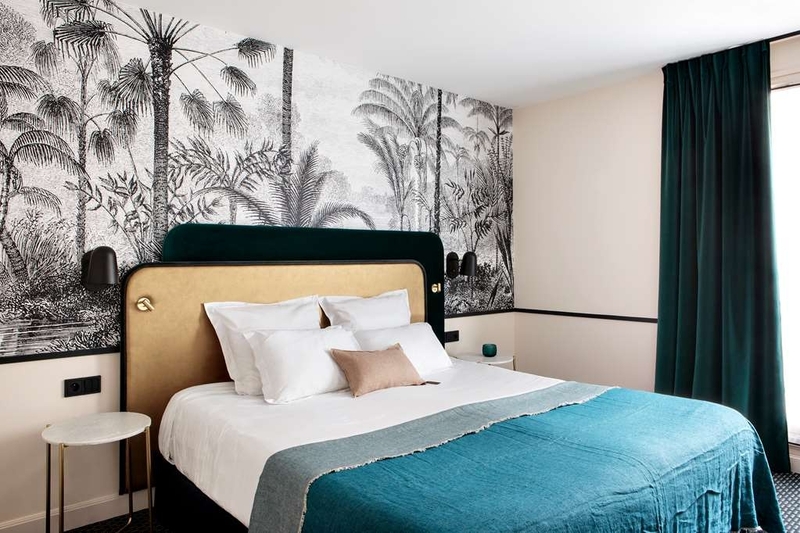 "Small hotel with very friendly staff"
The hotel is located a 7 minute walk to Bellecour and about double that to Vieux-Lyons, as well as within 5 minute from a metro taking you to gare Part de dieu station. The staff is very friendly and helpful, the room was clean and quite spacious. Like in most hotels I stay, I would prefer to have some more artificial light, but the room was very quiet. Breakfast is self-service, and although there are 2 formula´s, how it works was not really clear, although I got charged automatically for the large breakfast. Dear Madam, Dear Sir, We thank you for taking the time to share your experience in our hotel during your stay in Lyon. Our hotel is 5 minutes walking from the city center, and 15 minutes from the old city. In 2018 we will make some renovation in all the hotel, and we will use your comments to improve our services. We have 2 formulas, the full continental breakfast for 16.00€uros per person and the express breakfast for 8.00 €uros per person. With the express breakfast you can have a hot drink, orange juice, a fruit and bread or viennoiseries. You just have to ask our colleague what kind of breakfast you will take. We hope to welcome you again for your next stay in our beautiful city. Kind regards. David, Front Desk. "Good location and nice rooms"
Dear Madam, Dear Sir, We thank you for taking the time to share your experience in our hotel during your stay in Lyon. In the name of all our staff we would like to thank you for this wonderful mark you gave us. Ou hotel is well located 5 minutes walking from the city center and 15 minutes from the old town, and 100m from the docks where you can have a drink on boats. We hope to welcome you again for your next stay in our beautiful city. Kind regards. David, Front Desk. Super friendly and helpful staff. Very convenient location close to river. Easy walking distance to many great restaurants and markets. Rooms gave AC. Nice room with comfortable bed. Overall excellent value. Dear Madam, Dear Sir, We thank you for taking the time to share your experience in our hotel on Tripadvisor. Your comments are very important to us they can help us to improve ourselves and try to give you a better experience. 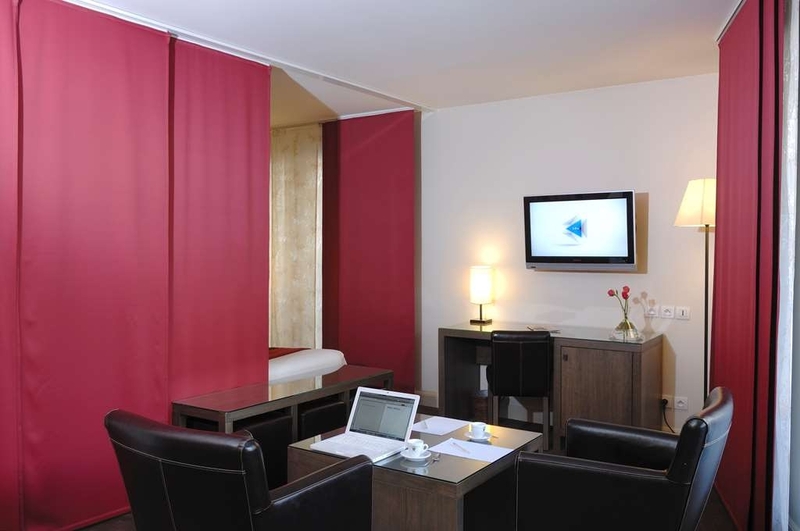 Our hotel is 5 minutes walking from the city center, and 15 minutes from the old city (Vieux Lyon). We hope to welcome you again for your next stay in our beautiful city. Kind regards. David, Front Desk. 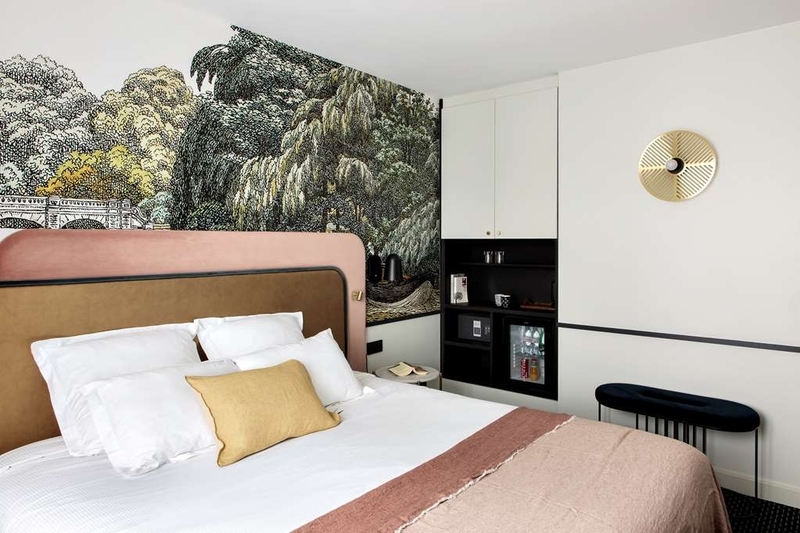 "No Frills Hotel, but Comfortable with Great Breakfast"
This Hotel is situated on the left bank of the Rhone (Part-Dieu area) in a small side street not far from the main road fronting the river. It is easily accessible from Lyon Part-Dieu Railway Station (the taxi fare was 15 euros). Our Standard Room on the 3rd floor, was of good dimensions (248 sq ft) with a full length French window providing lots of light, comfortable twin beds, small but good en-suite providing lots of hot water for shower or bath. There is a comfort tray, safe and air conditioning which was most effective in a warm September and electric sockets available for charging camera batteries, phones etc.. Breakfast is served in a small room on the ground floor and it was simply excellent. There was a choice of fruit juices, fresh fruit, cereals, muesli, meats and cheese, croissants, pastries, breads, coffee of all kinds from an excellent machine, hot water on tap for tea, eggs to boil, and a choice of hot food. There were too many other things to list, but all I can say is that it was the best choice of breakfast I have ever had in France. In the reception area there is a free choice of newspapers in different languages and the receptionists are very helpful. The hotel is well situated for a bus/tram services both from Rue Servient which runs behind the hotel and from Quai Victor Augagneur beside the river. The bus from Quai Victor Augagneur goes over the Guilloterie bridge direct to Place Bellecour on Presque'ile where are the shops and restaurants. To walk to Place Bellecour would be about three-quarters of a mile and take about 15 minutes, but it was helpful to us (elderly but active) to have the choice of public transport. All in all, this hotel proved to be comfortable and the staff very friendly. Our only complaints were (1) there were no drawers at all in the room or in the en-suite; our clothes and all the additional things one travels with, were restricted to a floor to ceiling cupboard with 4 shelves, situated in the entrance hallway, or in another cupboard with some hangers. The top two shelves depended on being fairly tall; (2) there was only one hanger in the bathroom for bath towels and two hangers below the basin unit for hand towels. This made drying the large towels almost impossible, so despite our wish to “save the environment” by retaining our towels for a day or two, we found it necessary to have fresh towels each day, which were supplied and of good quality. The management did say that the rooms were soon to be refurbished and that they would take our comments into account. It may seem a small thing, but whilst the lack of drawers may be acceptable for a stay of one or two days, it becomes very irritating over a full 5 day stay. In the hotel's defence, it seems that this is a trend with a number of hotel groups. Although we enjoyed our stay, I think the correct rating for this hotel would be 3 Star as it really does need some refurbishment to bring it up to 4-star standard. Dear Madam, Dear Sir, We thank you for taking the time to share your experience in our hotel during your stay in our hotel. In the name of all our staff we would like to thank you for this great mark you gave us. Our hotel is well located, we are 5 minutes from the city center, and 15 minutes from the old City. We are very glad that you liked our breakfast, we always try to make it better by trying new product and have local product for fruits, bakery, eggs ... We are very interest if you have any new idea for our breakfast. In 2018 we will make some renovation in all our hotel and your comments will be use to make some improvements. We hope to welcome you again for your next stay in our beautiful city. Kind regards. David, Front Desk. "Nice place in good location"
Hotel has a peaceful location a short walk from river though we found most places in Lyon are easily walkable. Staff friendly. Never had breakfast as cafes around are far cheaper. Only negatives would be size of room. Very small. And there were some maintenance issues in the bathroom; sink didn't drain, shower seal broken so bathroom flooded when you had a shower. Lack of a towel rail or place to hang towels meant they had no chance of drying though were replaced every day apart from 1. Dear Madam, Dear Sir, We would like to thank you for taking the time to share your experience in our hotel during your stay in our beautiful city. We are 5 minutes walking from the city center and 15 minutes from the old city (Vieux Lyon). Our 16.00 €uros breakfast have pastries are from a Bakery in Lyon, and they are made and delivered every morning. 5 Differents kind of cold delicatessen, French cheeses, fruits salade, orange salade, fruits (kiwis, bananas, apple, oranges...) hot plates such as : bacon, sausages, eggs, scrambled eggs, boiled eggs, fried eggs. Cereals : musli, corn flakes, chocolat cereals, light cereals. Dry fruits. Differents yogurt (actimel, activia, fruits yogurt, light yogurt, fruit compote. Differents patries : Pains au chocolat, croissants, pralines brioche, apple tart, bread, cereal bread. marmalade, butter, salty butter, nutella, honey... Tea, coffee (expresso, cappuccino, hot chocolate..). Multifruit juice, orange juice, apple juice. If you have any other suggestions, please feel free to contact us. We are constantly trying to improve our services, so we would be glad to hear from you. We are very sorry that you had technical issues in your room, please do not hesitate to inform our front desk team, we will be glad to change room and call our technicians to fix everything. Your comments are very important they can help us to improve ourselves and try to give a better experience to our guests. In 2018 we will make some renovation works in all the hotel, we will use your comments to proceed to improvements. We hope to welcome you again to have a second chance to give you a better experience. Kind regards. David, Front Desk. "definetely only a 2 star hotel at best!" Dear Sir, We thank you for taking the time to share your experience in our hotel during your stay. In the name of all our staff we would like to apologize for not been able to exceed your expectations. Our hotel is 5 minutes walking from the city center and 15 minutes from the old town. In July and August we had a facade work, this kind of works have to been done every 15 years. The workers didn't work before 9am, they had to stop before 4pm and they didn't work on weekend. We are in a big city and we around a lot of shops (cosmetics, luxury jacket...) maybe one the shops had a alarm on the night because we didn't have any alarm fire for at least a year. Our pastries are from a Bakery in Lyon, and they are made and delivered every morning. Our breakfast proposes : 5 differents kind of cold delicatessen, French cheeses, fruits salade, orange salade, fruits (kiwis, bananas, apple, oranges...) Hot plates such as : bacon, sausages, eggs, scrambled eggs, boiled eggs, fried eggs. Cereals : musli, corn flakes, chocolat cereals, light cereals. Dry fruits. Differents yogurt (actimel, activia, fruits yogurt, light yogurt, fruit compote. Differents patries : Pains au chocolat, croissants, pralines brioche, apple tart, bread, cereal bread. marmalade, butter, salty butter, nutella, honey... Tea, coffee (expresso, cappuccino, hot chocolate..). Multifruit juice, orange juice, apple juice. If you have any other suggestions, please feel free to contact us. We are constantly trying to improve our services, so we would be glad to hear from you. We are a big city in France and like everywhere in Europe there is some homeless and refugees and we cannot do anything for that except help them if we can. We are very near the city center and some noises can be possible like the neighborhood, cars, alarm from emergency services... There is a minibar in the rooms but we are not allowed to serve alcohol but less than 5 minutes walking there is a lot a good boat where you can have a drink on the water. Once again we are terribly sorry and we hope to welcome you again to have a second chance to give you a better experience. Kind regards. David, Duty Manager. This hotel is a good compromise between cost and location. Anywhere on Presqu'ile or in the old town is expensive, although the most convenient for the main sights and best restaurants. The hotel is in the next area to the east of the Rhone, which is not particularly attractive but it is very close to the river side , with its recreation facilities and boat bars,and crossings to Presqu'ile ' ile., and to tram route T1 which links to the Part Dieu and Perrache stations, and the Confluence regeneration area. 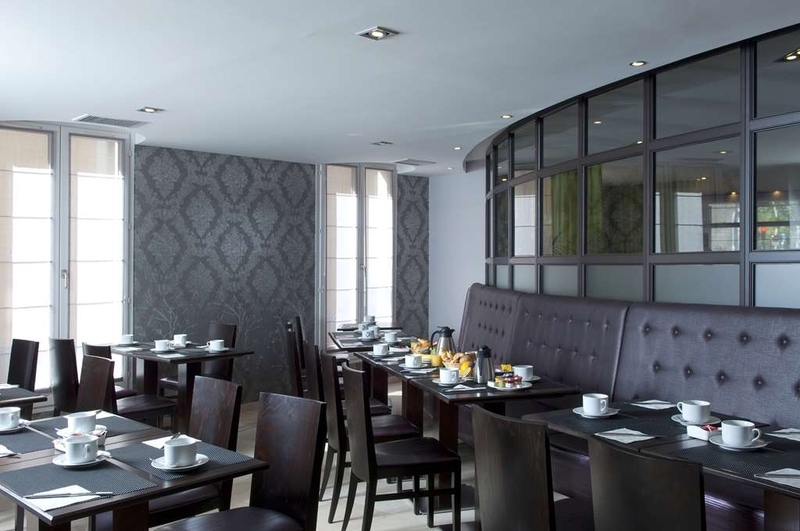 Rooms are adequate, clean and the staff are friendly, and the breakfast choice is good. However, there is no bar, or lounge, and minimal public space. The breakfast room is rather cramped. Dear Sir, We thank you for taking the time to complete a review on our hotel during your stay in Lyon. In the name of all our staff we would like to apologize for not been able to exceed your expectations. Our hotel is 5 minutes walking from Bellecour Place and 15 minutes from the Old Town (Vieux Lyon), we are 50m from the tramway stop Liberté. Your comments are very important to us, they can help us to improve ourselves and try to give you a better experience. In 2018 we will make some renovation work in all the hotel. We hope to welcome you for your next stay in our beautiful city. Kind regards. David, Front Desk. Dear Madam, Dear Sir, We thank you for taking the time to share with us your experience in our hotel. In the name of all our staff we would like to thank you for this very beautiful mark you gave us. Your comments are very important to us, they can help us to improve ourselves and give a better experience for the guest to come. We hope to welcome you again for your next stay in our beautiful city. Kind regards. David, Front Desk. 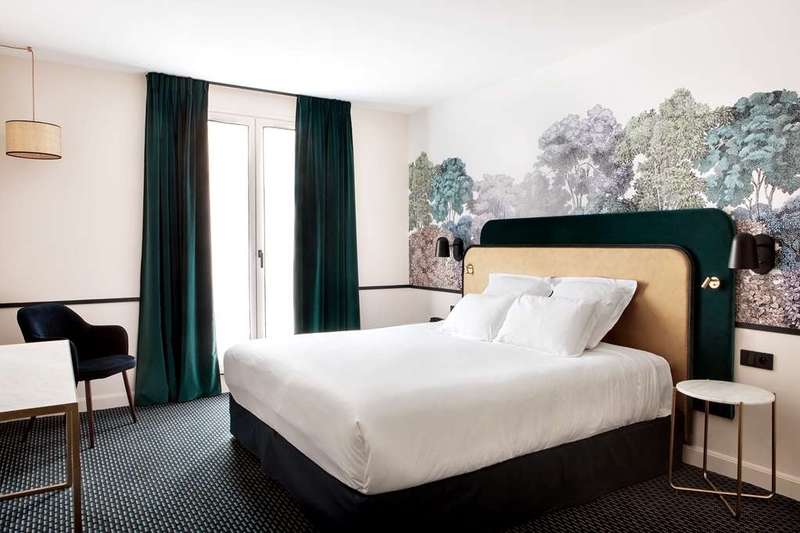 "5 night stay in Lyon"
"Nice hotel right down town, 1/2 block to the river Rhone walk." Our taxi dropped us off at the hotel way early (10:00am) after leaving our river boat cruise. The woman at the front desk spoke very good English and was so helpful. She tagged our luggage and put them in a secure area while we went out and had a cup of coffee waiting for a room to be cleaned. We came back an hour later and she upgraded us to one of their larger rooms with a balcony overlooking the river. Room was huge, even had bunk beds for kids. Good sized very clean, bathroom (no face cloths) Bed was comfortable as were the bedding and pillows. Bed was quite close to the floor, almost needed help getting out. Room had complimentary in-room hot water for tea and coffee and several bottles of drinking water. There was a mini bar with food etc. but I didn't check it. It was Easter Sunday and there wasn't many places open to eat. There was a farmers market set up on the river walk side walk , what a wonderful array of produce, too bad we couldn't buy some to take with us. Never did get the TV figured out,. That's ok we had several books to read. Slept very good, room was quiet. Buffet breakfast provided by the hotel for a fee was quite good. Coffee was great. I understand there is some parking in their basement for a fee. On street parking would be difficult. Taxi ride to the Lyon airport cost about 80 euros from the hotel and took about an hour..
"It's a Best Western so you know what to expect." In a quiet part of the town and a nice walk over the river to find some really nice eateries. The staff in this hotel really make it shine. The breakfast was good so no complaints at all. The room was clean and the bed was both large and comfortable. warm welcome, good beds (although comforters too hot), we had two rooms and were upgraded to be next to each other. Very helpful front desk: told us that the rooms will be renovated, although our room seemed more than fine. We didn't take breakfast but it looked ok: two cost levels. The location was just across the bridge from the center. If you don't mind walking (that's what we did the two days we were there) it is a super location. Not far from the river. One day we took a cab to the Croix Rousse area and walked home. We also walked from and back to the train station (Part Dieu). "Great place, clean and value for money"
Best western Pont Wilson was a pleasant surprise. An authentic "value for money" hotel, with spacious double rooms and great double beds with comfortable matresses, as clean as they get and very friendly staff. Marion and David were great and offered us all the help we needed. They also speak excellent english (something that is hard to find in France) and they always smile. Breakfast was ok, and had a great variety (scrambled eggs, sausages, marmelades, croissants, pain ou chocolat, two kinds of juices etc). For 16 euro per person per night, could be better. Coffee is served through a machine (as is the case in almost every part of France). Location is very good. 5 minutes walk from place Bellecour (Lyon's center) and 50 metres from the hotel is a tram stop (Liberte - T1). Of course it's not the most central hotel but it's very close and the room price is great. I would stay there again and I will. I also recommend it to couples, families and literally everyone. While on my business trip in Lyon I stayed in this hotel which was very nice and clean. Room was nice with great big bed and bathroom. Hotel is in the center of the town so just few steps from all of the major sightseeing places. Would give it five stars but the breakfast choice was really poor and too expensive so it would be better not to take the breakfast and go out because there are lots of nice places just nearby for far more better choice with fair price. 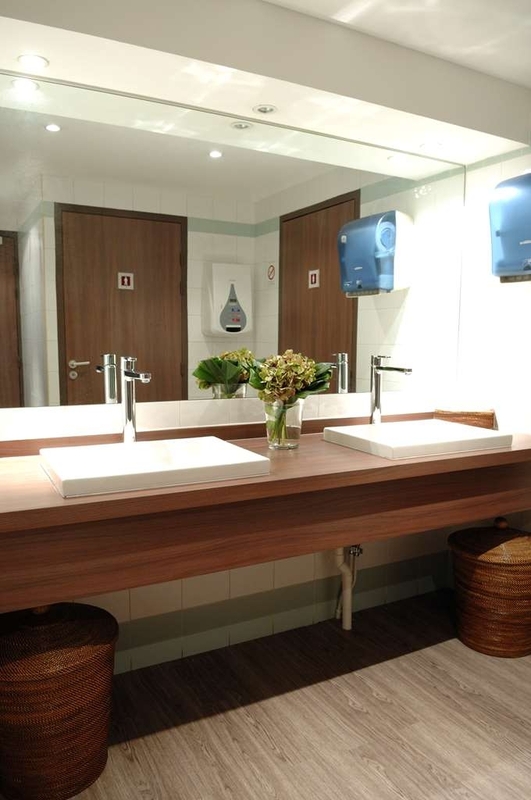 "Decent place for a stay"
Well-situated hotel with adequate rooms; bathroom clean and practical. Don't take the breakfast - far too expensive at 16 Euros - go out! The hotel is a short distance from the main part of Lyon and is near a tram line. On a summer evening, crowds gather on the bank of the Rhone, making for a happy evening stroll out to see what the locals do. Centrally located, but I am giving it a 3.5, thought it is 4 star. The decor was a bit out dated. Having said that, the service was very friendly. Room and bath room were of a good size for Europe. The hotel offers parking, but limited, and it was full when we booked, but there is a secure public car park about 10 minutes walk, or less, which you will need if you want your car to be safe in Lyon. For safety reasons. The hotel is a 2 minute walk from the river, and about a quick 12 minute walk from the old part of town where all the shops are and the historic buildings and fountains. Breakfast is hot and cold, and is good. We would stay there again. The Best Western Hotel du Pont Wilson is a great little hotel in a quiet neighborhood half a block away from the river promenade. A tram line is 100m away, and the subway station is a 5 minute walk. So even though it is not in the city center, it's well connected. My room was modern, spacious and clean. The bed was very comfy! I ate breakfast at the hotel for a reasonable extra fee. It was very good, both selection and quality. The reception staff was, without exception, very friendly, knowledgeable and helpful, e.g. when I needed to find a way to get to a place on the other end of the city. I will try to get a room here whenever I am in Lyon. "Great hotel - very convenient location"
We stayed in room #303 which was a good sized twin room. The beds were comfortable and the pillows nice and fluffy! There was a fridge and tea and coffee making facilities as well as a safe. The television only offered French channels but wasn't a major issue. 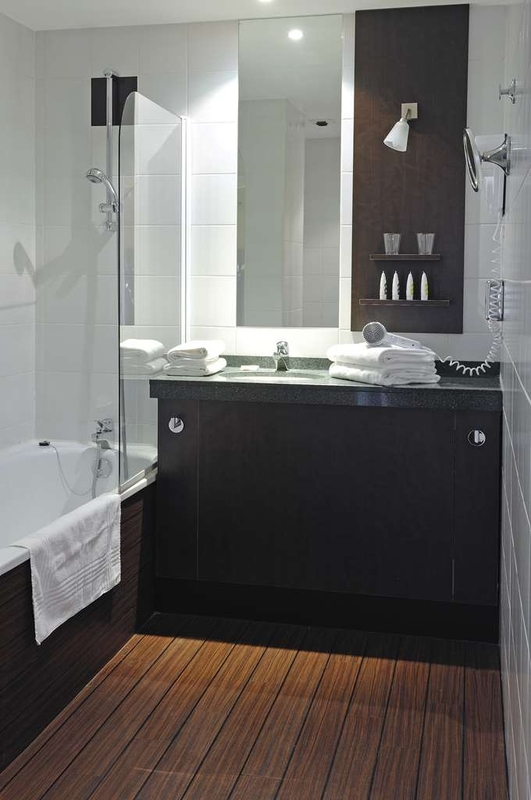 The shower was over the bath which tends to be the norm in Europe but a bit of a problem as you get older. The hotel is one street back from the river and an easy 10 minute walk into the centre of Lyon - another 10 minutes and you're in the beautiful medieval part of Lyon. Loic working at reception is perhaps the best at his job I've ever encountered! Hotel is in a great position,we got a great room 505 with balcony and view and huge space(even bunk beds which we didn't need)but......despite huge efforts by Loic our wifi was,and I'm reluctant to say it,rubbish. It worked everywhere except our room. The halls,reception,even outside our room! But it was like the Internet was blowing through the room and we were lucky if we caught the breeze. But I would still take the same room again and just not waste so much time trying to get online. Free parking on all surrounding roads in the month of August. Great location, lots to see & do. Www had a junior suite which was huge, spotlessly clean would be perfect for a family as there were bunk beds in separate annex off the room. Massive comfiest bed & a balcony which overlooked the river. This hotel perfectly situated to see Lyon on foot. The staff are friendly and helpful. They gave us advice on places to visit. There is no bar in the hotel and only a small breakfast room but lots of places to eat and drink nearby. Rooms clean and comfortable. "Average, french version od BW"
The hotel is in a fairly good location, within walking distance to the old town. Clean with basic amenities which we were happy with, and the staffs were very kind and friendly too. All in all a comfortable stay. Just wished there was a little more provided in the bathroom for example a shower cap etc..
Great location by the river with a short walking distance to the metro for exploring the city. Only a couple of minutes or so of walking distance from the main square, the Place Bellecour. This is a rather small hotel. It nominally has four stars, which I personally find not deserving, to be completely honest. It is more a solid three-star hotel. The room was clean and comfortable. Breakfast was excellent, although served in a small restaurant. A good pointer for avoiding the crowd at the restaurant was a chart by the elevator, indicating changes in occupancy (in percentages) during the time the breakfast is served. It worked for us like a charm. Hotel staff was pleasant and helpful. I would recommend it for a stay of couple of days, not more. "Rude, dated, cheap & smelly"
We have been road tripping around France for two weeks for our honeymoon and we planned to stay at this hotel for one night on our way back to the UK. Considering we had spent 4 nights prior in a Best Western in Nice, our expectations of the Lyon version were also high. Best Western in Nice had upgraded our room for free as it was our honeymoon, reception staff were exceptional and the hotel was gorgeous.. Then we turn up at Best Western (Hotel du Pont Wilson in Lyon).... .. firstly the blonde woman on reception was VERY rude to us, talked to me like I was a child and I was very close to not bothering in staying.. I wish I had! the room we were put into was stinky, dated, the mini bar in there was laughable... I asked for a couple of milks the next morning for our coffees in our room and got told "no, you are only allowed two milks" ?! Seriously?? In every hotel I have ever stayed in, they have never been like that and personally think she had a vendetta against us. She was rolling her eyes and speaking to her colleague in French about us as she knew I wouldn't be able to work out what she was saying. The room was dusty and I wouldn't recommend anyone to stay here. I booked the hotel with a special deal through Tripadviser and the hotel, but when I arrived the hotel they changed me normal sale price without understandable reason for it. I don't trust any more for this hotel chain, as like putting on "hook deal" at major online site. "Excellent for a one day stay"
We came here from Germany before travelling to our original destination point in Cannes. We were greeted by polite staff, who were happy to help (they spoke english as well, which is good for someone who doesn't speak french as mother tongue). The rooms were clean and tidy, with sufficient air condition. Breakfast was also good. 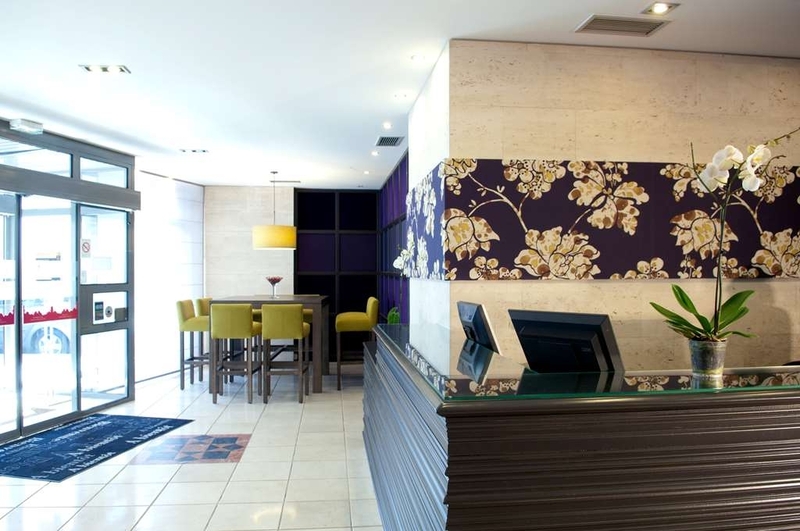 It should also be mentioned that the Hotel is situated in a great area, with just a small walk to the city centre. Overall we had a pleasant stay with this Hotel. Recommended. Good location and easy access to city and railway station. Quite small room, but beds were good. Air condition was effective and it was really needed because of hot weather. Breakfast room was slightly tight, but food was very good and versatile. The banks of Rhone just in front of the hotel are fixed up and it is a nice place to enjoy the sunset. This hotel needs a total makeover. It's very very dated, old, dirty and ugly. Not quite sure how it's maintained a 4 star rating, for me it's a 2 star. The only thing it's got going for itself is underground parking in what is a crowded city. Don't book here unless you are desperate for secure parking. Best Western you need to invest in your hotel upkeep I certainly will think twice about booking under your brand again. "Ideal location next to the Rhone"
Great location situated close to the Pont Wilson bridge. A short walk across the bridge to the main town and then over the Saone into the old town. Also only a stroll to the great outdoor swimming pools. Comfortable room which was a good size and very quiet at night. Staff were very helpful and keen to give advice. We did not have the breakfast as thought it was a bit expensive at 18 euros so walked over to the cafe on Place design Jacobs. Would recommend this hotel if you want a quiet area with only a short walk to the river & town. This is not a hotel to visit in summer. During our stay when temperatures hit 30C hotel air conditioner did not work. We were given a fan after we asked to change room as whole hotel was without / except the hallways. Air conditioner worked on our last day. Internet was not working for a day. A taxi we booked was not done and we did not miss appointment only because we went into lobby early - in time to get another. The only staff member we praise was Mathilde. She kept sorting the inefficiency of rest of staff. We did not have breakfast in hotel. The room was clean and bathroom good and functional. "Good location with private parking"
We stayed 3 nights during euro 2016. Its a safe distance from the noise of Place Bellecour with its fanzone. We had a few problems because one night guest probably didn't think they were important. These were: kettle not working, TV channels not tuned, phone to desk not working, some of the free coffee creamer gone off. But we had a balcony family room and that was great to sit on and watch the traffic with river view and Basilica view as well. 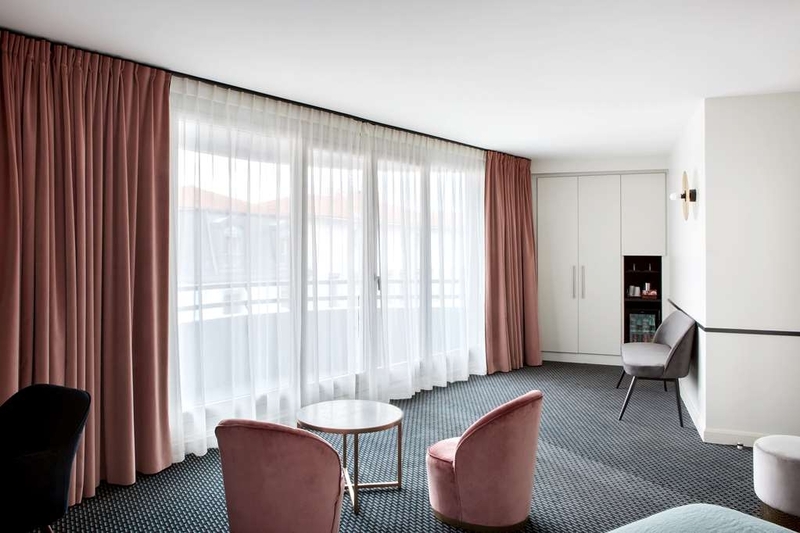 One expects to ahve tiny rooms when staying in Europe and this one was a very pleasant surprise that the standard room exceeded my expectations. Moreover, it was also airconditioned which in summer would be pleasurable. While I initially was lost, probably misled by my smart,phone GPS, the location is very convenient to the Liberte stop. From here, the rest of the city is at your toe tips. Breakfast and internet amazingly were pleasurable experiences. "returning after many years and still a great place to stay!" Just go in the Pont Wilson hotel after several years and still extremely happy with the overall quality of the service and hotel. The staff is extremely polite and helpful. Since my last stay, this hotel has had a complete make-over! The location makes it easy to go to all the historical landmark on foot or using the public transportation. No need to find yourself something closer to the historical section or the Presqu'ile, this hotel is a great value! This is a lovely hotel in a nice quiet residential area right next to the Rhone. I wish I had booked this for my whole stay in Lyon, not just for my last night. The reception staff were very nice and welcoming. I got to the hotel four hours before check in time and they kindly stored my bag whilst I wondered around. On my return around 3pm, my room was ready. I had a large room which had a big desk, two separate seating areas and a big tv. There is a little fridge with a mini bar. The king size bed was very comfortable with a mattress topper. There is a kettle with a small sample of tea/coffee options and milk. The room was very clean and tastefully decorated. The bathroom was on the small side but this was not a problem. There were two bathrobes and an in room safe. There was also lots of storage space. The hotel is located right next to the Rhone river and it's about a 10 minute walk to the tourist areas of Lyon. 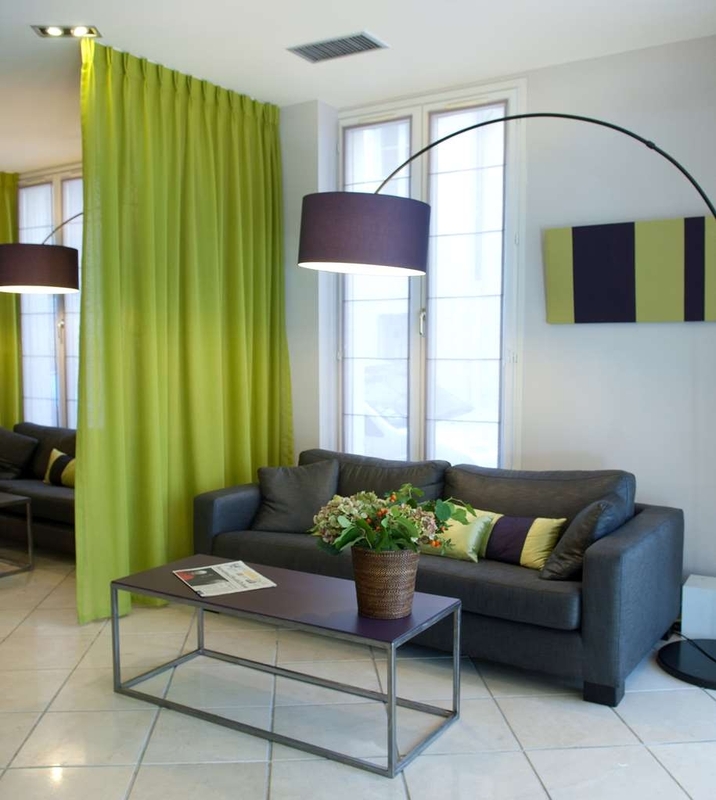 The hotel is a short and easy walk to the Place Guichard - Bourse du Travail metro. There are a few places to eat nearby which I didn't try but looked nice. I would definitely stay at this hotel again. Location is great for getting around the city. It's a small compact hotel. Clean, but a little dated in the room we were in. The reception staff were very helpful and should be praised for that. We walked from the train station, it's about 25 mins max. We found a nice little boulangerie round the corner and did breakfast there instead of at the hotel. The room had a minibar, so we stocked up in out own in room treats. The bed was very comfortable. I think it was a memory foam type mattress. You a re on small block away from the Rhone, literally 30m. On Sunday they have their markets, which were great to wander through. There is no bar at the hotel, but there are plenty of places to go within 10 minutes. It's a nice little hotel. No major frills, but great location. I was there for a business trip. The hotel was in a very nice Rhone river. The hotel was very near to a shopping place across the river. Breakfast was very nice. I am satisfied with the room cleanliness. Easy to find Asian food nearby hotel. If i had a chance, i would stay again at the hotel. Three couples booked for the European Rugby Final weekend and stayed for four nights. Our room was a nice size and clean and the bed was the most comfortable I can remember. The housekeeping was great and all the staff charming and helpful. Breakfast was in a room that I thought would be too small but there was always a table available It was a typical continental breakfast with the hot option of bacon, sausage and eggs (scrambled or boiled) It is situated just off the main road next to the Rhone but isn't on the river front. It's very easy to find late at night and there are several bars nearby and I'd recommend the bars on the barges by the Pont Wilson. These saved us from a crisis when we realised the hotel didn't have a bar , but we managed without one. It's a small compact hotel with good sized rooms and nice decor The acid test is would I return, yes. "A good hotel with helpful staff"
We stayed here for 3 nights on a mini break with friends. The hotel was very clean with average sized rooms and had coffee making facilities. The staff were friendly and helpful. 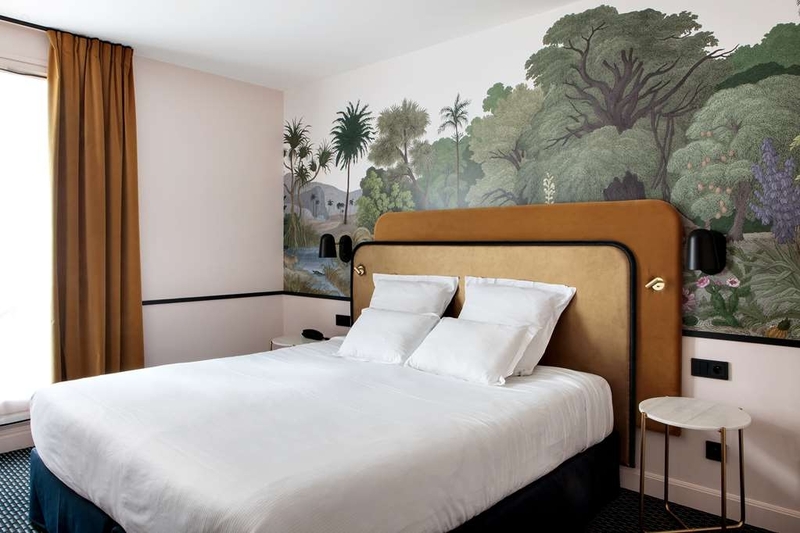 The hotel is situated across the road from the River Rhone and was within walking distance of the old town. A very pleasant stay in a lovely city. "don't expect a view of the Rhone!" I stayed here 3 nights, choosing it as being closer to Presqu'Ile and the old town, and hoping for a biew of the Rhone, as it appeared so close. Well forget that idea, although it is close and is 6 floors or so, so is the building on the other corner that blocks any prospect of a view. I had requested a high floor in case there was a view, but no. It is walking distance from where you want to be however. Even the station is a fairly straight walk in 20 mins or you can get a closeby tram there. I thought the price I paid, about 120€ a night, was overall a little high. The roof was a reasonable size (this was a twin) and had a desk and 3 chairs. For the price however I would expect a safe, but no. But worst thing (I was not a business traveller so no suits for me) was absolutely no hanging space (hence no coat hangers) at all, only a cupboard with shelves! This is crazy in a hotel of this level, or any level in fact. The wifi is also annoying, although reasonable strength, it seems you cannot log in multiple devices at the same time. In fact after logging out of one you are then forced to wait 65 secs to login another! Hotel wifi systems can be frustrating, but I found this very annoying. So with markdowns, overall only average and not that great value for what you pay. We stayed at this hotel with friends for three nights. We walked from the railway station to the hotel which took about 25 minutes. The hotel is in a really good location allowing easy access to everything. The people ar reception were brilliant. They were fluent in English. friendly and very helpful. Our room on the first floor was very good. It was a reasonable size and the beds were OK. The bathroom was good with an excellent shower. The breakfast was satisfactory and it was never crowded during any of our three breakfasts. 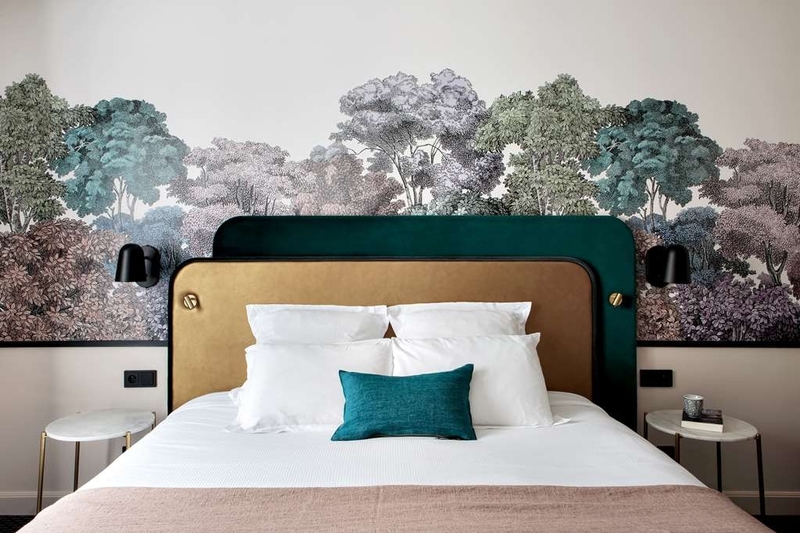 This is a very good hotel for a stay in Lyon and I would certainly return to it. "Exactly what we wanted !" Very clean, modern. Spacy room and very spacy bathroom (we actually had our own vestibule area and small second bathroom. When we got to Lyon, we walked to the hotel from the train station, which was conveniant. Actually, we walked everywhere from this hotel. Staff answered all our questions. Had to use earplugs at night, but we were on the third or fourth floor, right above the street. With the earplugs we slept fine, so it wasnt a problem. Would go back if returning to Lyon. "Great location to visit Lyon on foot...."
This is a typical business hotel in France - breakfast served but no bar, dinner or room service options. Rooms are very small but adequate. It's fairly well located and very pleasant but nothing exceptional at all. I would stay again if on a one night business stopover. "5 Stars for a 4 Star Hotel"
Great location for our extended stay. Room was large for European standards. Staff (Esteban, David, Valentina and others) were very friendly, helpful and accommodating especially regarding the couch which needed to be moved for more convenient viewing of the TV. The shower was slippery and we had to be very careful.. could use some kind of traction. Although slightly pricey (15.50 Euros/person), the breakfast was superb with the eating area very cozy and quiet. We were able to buy tram tickets at the desk... very helpfu. Safe neighborhood and we were out in evening. Would definitely stay here again. Thanks. "Comfortable Base for a City Break"
The hotel is on the western bank of the Rhone river, on a relatively quiet side street, a ten minute stroll to the main squares and boulevards of the city centre. If you're arriving into Part Dieu station, the hotel is easily reached by the T1 tramline, also the line to take down to the Confluence district. The room was clean and spacious, though a little dated in places, with a decent-sized bathroom, and served as a good base from which to explore the city. Given that Lyon has so many places to eat, the hotel's lack of amrestaurant is no great issue, but the food offered at breakfast and as room service seemed a bit pricey, so have it a misss. "A good all round hotel"
We spent four nights at the Du Pont Wilson and found it to be an excellent base to explore the old part of Lyon. Check in was quick and friendly with no hassles. We had a Junior Suite on the first floor and could just see the river from the balcony. The room was quite big and quite comfortable, although perhaps looking a bit tired. Breakfast was quite adequate although the room was not very big. Firstly the staff were welcoming, helpful and always on hand. The hotel is in a nice part of town, a minute from the river and a short walk from the old town. There are a number of restaurants near by and a few which are first class. The hotel itself is clean, the rooms are a decent size and there plenty of storage room. We had rooms on the 1st and 2nd floor and we had very pleasant stays. There was no noise from the streets and we had good nights sleep. The breakfast room is small, but the breakfast offers a good choice and is topped up regularly. I thought the hotel was a good price for why you got and I would stop here again. The best features of this hotel are its location and its staff. Really good area which is an easy walk across the river to the old town. Street parking is difficult and tight and you risk your car being scratched and dinted. We parked on the street one night and got a tow bar in the number plate and the rest of time decided to park in the hotel's car park. Yes this is at a cost and you need to book it as they only have limited spaces, but getting into this car park was fun and worth it. You need to pull your car into a lift (very tight - we had a Honda Civic Hatch) to get down to the car park…in Australia we don't get many opportunities for this kind of thing and we enjoyed the gimmick of it. There are also paid parking lots around the corner (under the bridge) if you don't want to park in hotel car park. The staff - fabulous! So friendly and helpful, willing to do what they can for you. We had the most contact with David, and he was awesome! From the contact with had with other staff I can honestly say they were all wonderful. Rooms: this is an older hotel and there a bit of a musty smell in the hallway and rooms, but it wasn't that bad and it wouldn't deter us from staying there again. The bed was comfortable and the bathroom a good size, with good water pressure, compared with other places we have stayed at in France. Ok hotel. Great location though. One minute walk to Rhone river walk. 8 minute walk to Old Lyon, which is really beautiful. I had a suite with a balcony. But I definitely would not consider this a nice suite. The bed was comfortable but the pillows were horrible. Hard as rocks! The bathroom ok. The best thing about my room was the balcony. Incredible views of the Rhone River and beyond. Night views were so beautiful.The staff were very nice and helpful. 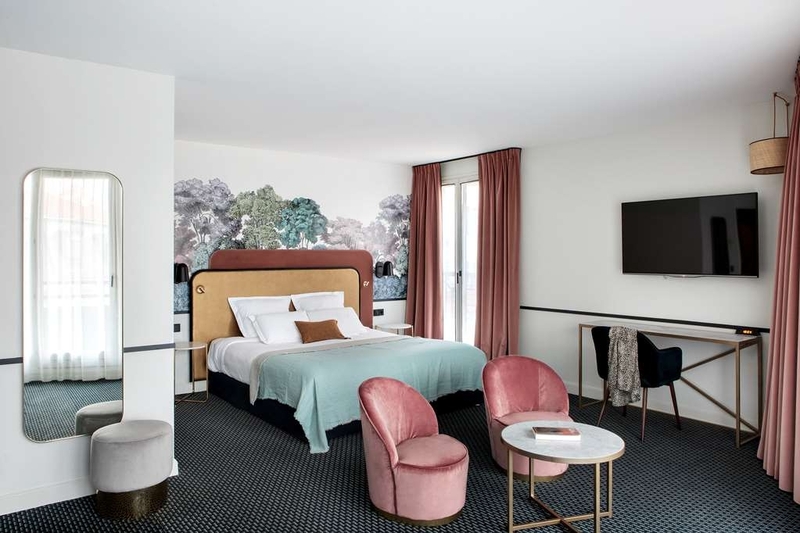 "A Great Choice for Our Short City Break in Lyon"
Considering that we paid only 83 Euro per night for a large and comfortable double room with impressive breakfast buffet, this hotel thoroughly deserves a 5* review. 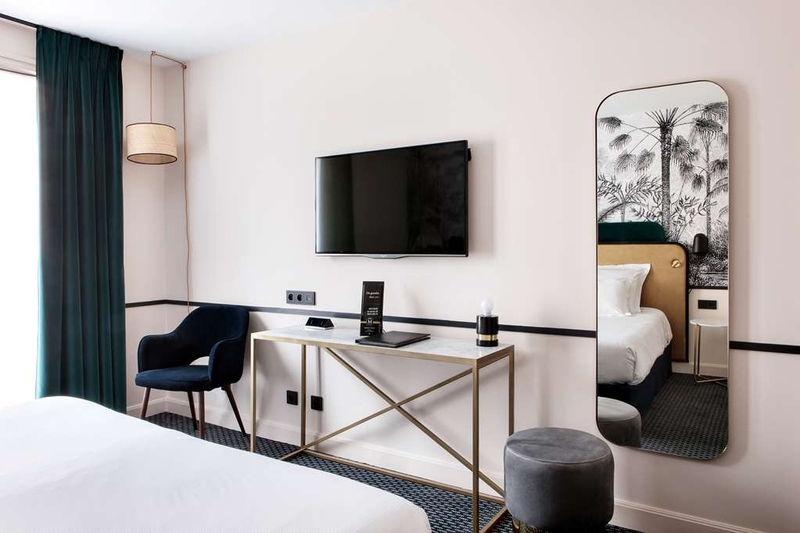 Add to this delightful staff, free wi-fi and a handy location, within easy walking distance both of the historic centre and Part-Dieu station, and it's easy to see why this hotel is a great option for a city break in Lyon. Easily in the same class as some other hotel chains which are generally much more expensive. Our only complaint: the coffee could have been better! "High quality hotel - excellent location!" I chose this hotel out of the blue, having never been to Lyon, and could not have been happier with my choice! The location was excellent - right adjacent to the promenade along the river, in the heart of shopping on the East bank, and within short walking distance from Old Town. The room was well appointed - roomy and very clean. The bed was very comfortable, and the bathroom well stocked with little extras you don't usually find (e.g. a robe). I have stay for 2 nights. The hotel is close to the centre near the tram station. Nice and clean bedroom and bathroom, free wi-fi. The lift really small. We didn't have breakfast because It was expensive. "Excellent base to visit Lyon"
We chose this hotel as it was reasonably near the centre and looked easy to find by car. This proved to be the case, although a warning - the garage, which we had reserved, is tiny, and you have to take your car down in a lift. we could only just get our jag in it! The room was lovely. we decided on a suite as it had a view of the river (although perhaps "glimpse" might be better!) and a large balcony. the staff could not have been more helpful, and the breakfast was good. We will certainly stay again if we visit Lyon. Probably not by car next time - but it's not far from the EuroStar station. Stayed here for 5 nights and what a great hotel it is. The rooms were of a good size, great shower and wonderful air conditioning which was very much appreciated when the temperature reaches 38. The hotel is in a convenient position for the town, just a short stroll across the bridge. The breakfast room is on the small size so best to get there early but the selection is very good. Staff were very friendly and helpful. Would definitely stay here again when visiting this lovely city. "It served the purpose of a good. clean roof over the head." Just spent 6 nights at this hotel. Great location. Close to public transportation, restaurant, others. Good staff since helpful and friendly. Breakfast also good with basic items and attentive staff member. 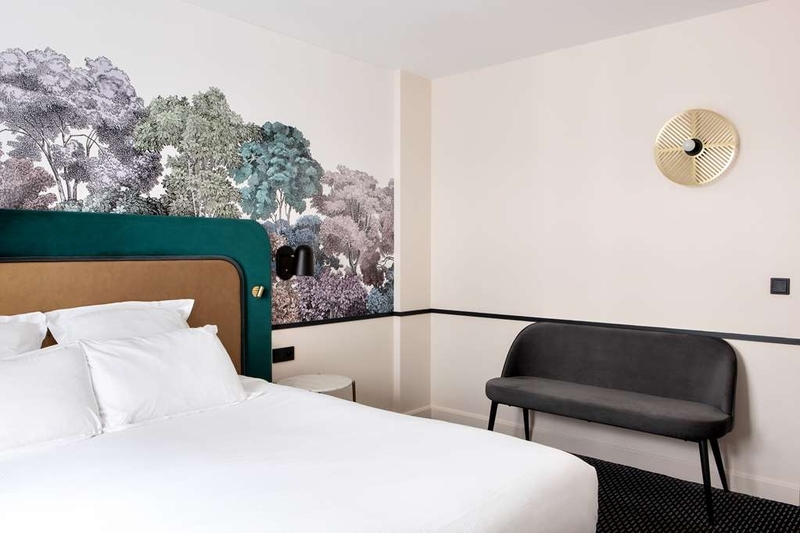 Superior room was nothing fancy, adequately sized for a business trip, clean, comfortable bed,basic amenities and A/C that met the demands for a hot week in Lyon. Complaints were rooms were pricey (probably due to high demand due to meeting),slow internet and lack of hotel restaurant/bar (options are nearby). Overall would return. Beautiful hotel in the city with Rhone-view! We had a family room which is a bit bigger than a doubleroom. The staff was incredibly friendly, the hotel was clean, comfortable and had everything we wanted for a nice long weekend! The staff answered all our questions with patience (and had all the answers we were looking for!). We'll definetely come back! 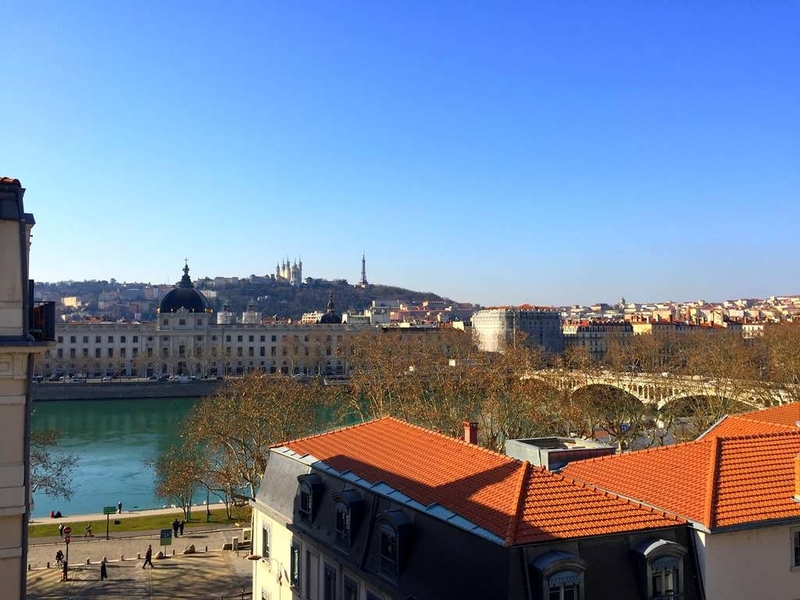 The hotel is just off the banks of the Rhone , so it is really well placed for exploring Lyon. We enjoyed our stay, were well looked after and would return. The main reason for going back would be its location and nice quality rooms. It was a quiet hotel and we enjoyed a good night's sleep.